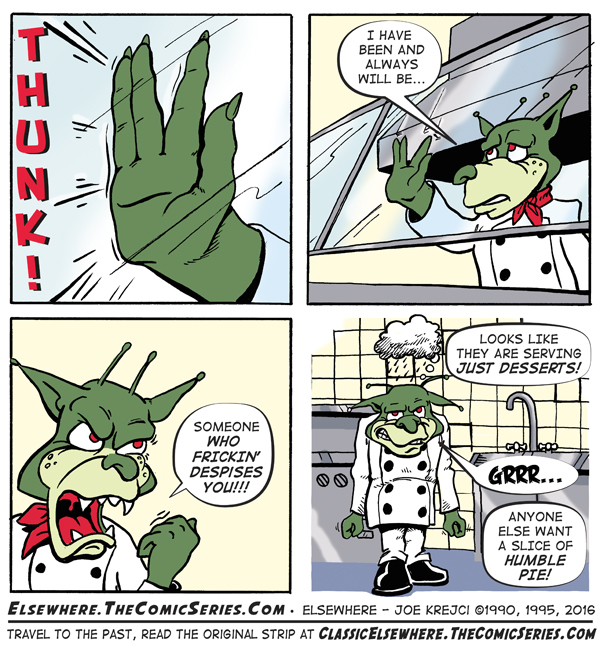 "Spockless Kitchen" Well you don't get Spock but you do get Grumpy Alien. Greg, his original creator, would be proud. I think these are some of the best drawings of him. well too desserts is kinda fattening.